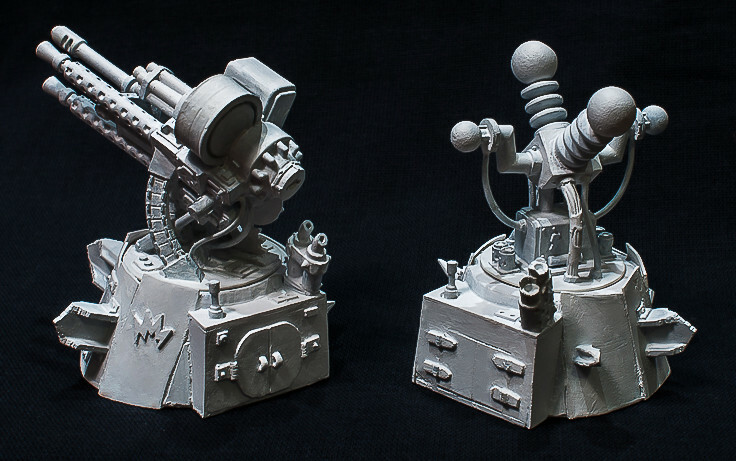 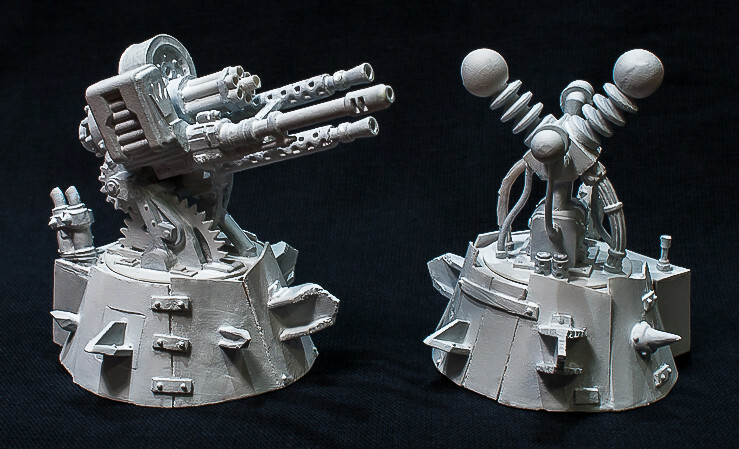 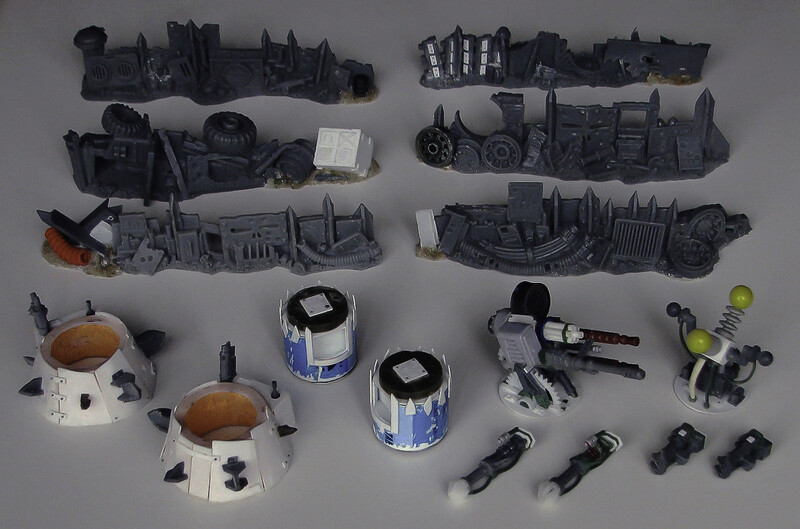 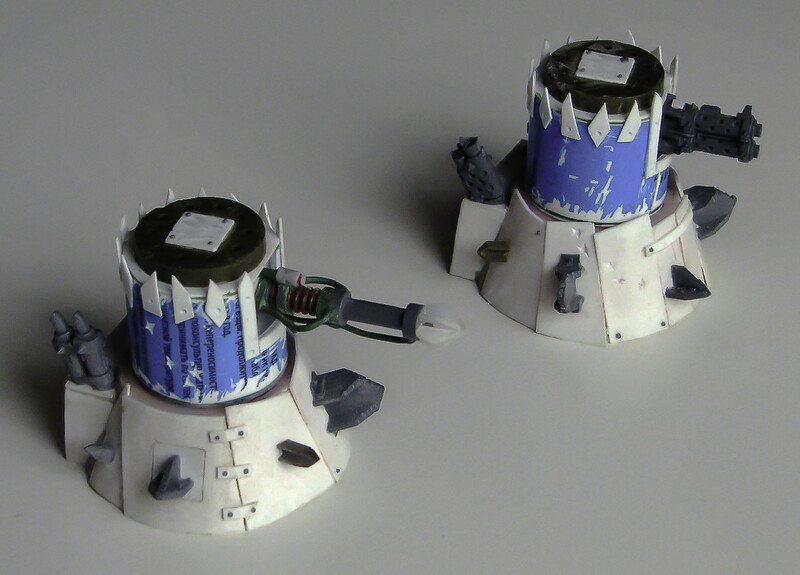 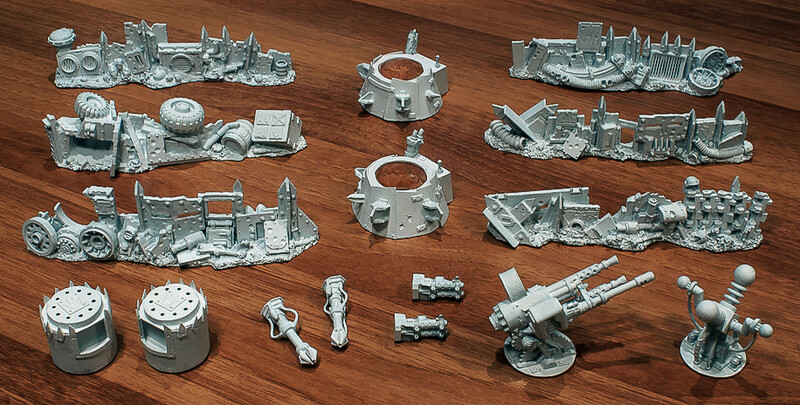 Some close-ups on the assembled turrets. 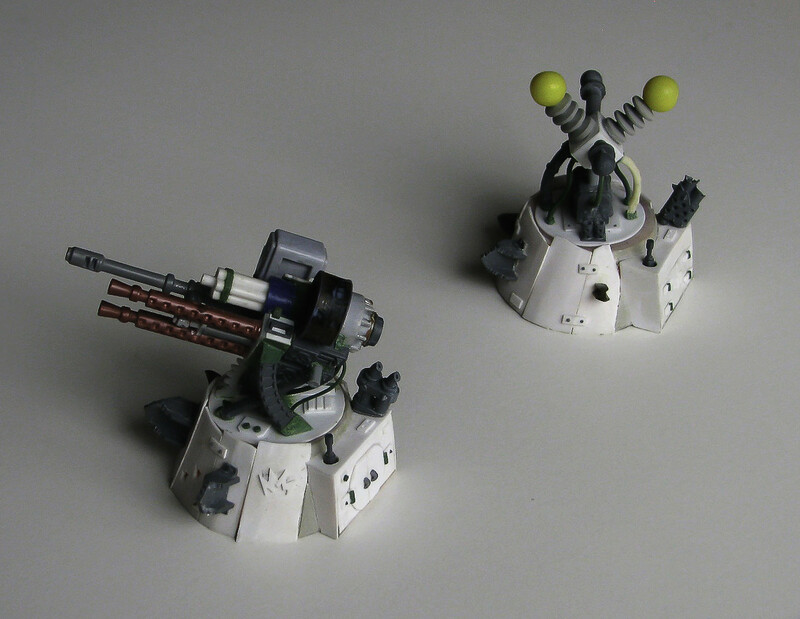 Options include a quad-gun, KFF and a pair of turrets wit a choice of big zzappas or twin-linked big shootas. 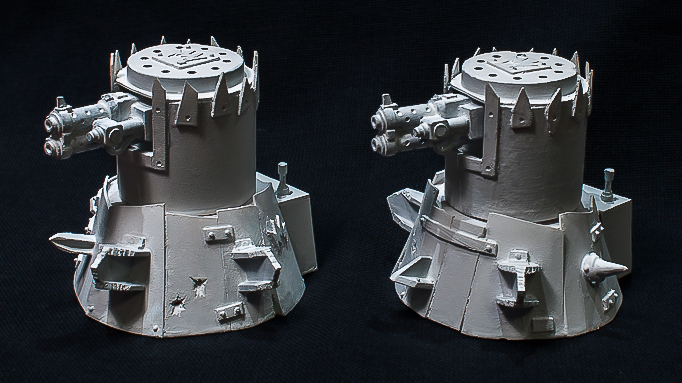 So there you have my new piece of Ork terrain to go with other ones.